Chicken salad that was sold at Fareway stores in Iowa is implicated in a state-wide Salmonella outbreak, according to a consumer advisory issued by the Iowa Department of Public Health (IDPH) and the Iowa Department of Inspections and Appeals (DIA). “Multiple cases” of Salmonella illnesses have been reported across Iowa. The Fareway chicken salad was made by a third party. We do not know which stores sold the chicken salad in question. The chain voluntarily stopped the sale of the Fareway chicken salad, according to the advisory, and pulled it from its shelves. A recall was not issued. DIA Food and Consumer Safety Bureau Chief Steven Mandernach said, “The company has been very cooperative and is working with IDPH and DIA in the investigation of the reported illnesses.” No chicken salad has been sold from those stores to the public since February 9, 2018. There was no information in the advisory about the number of possible patients, their ages, illness start dates, or any hospitalizations. We also don’t know where in the state these patients live. Food Poisoning Bulletin is waiting to hear back from IDPH about these questions. 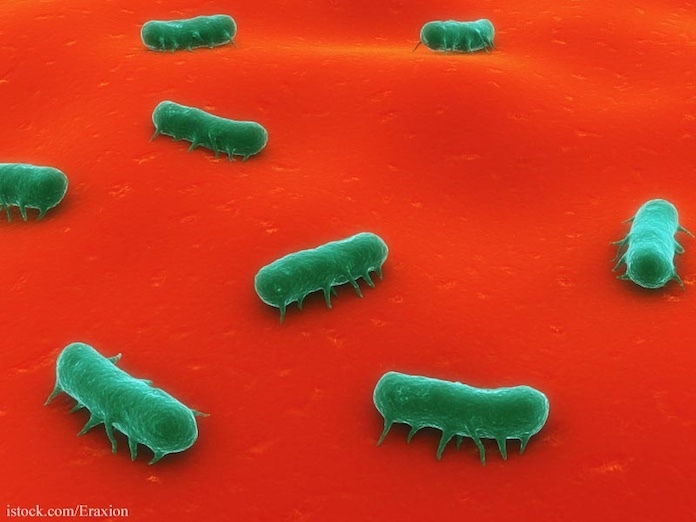 The symptoms of a Salmonella infection include diarrhea that may be bloody, a headache, fever, nausea, abdominal pain and cramps, vomiting, and muscle pains. People who are hospitalized for this illness usually are admitted for dehydration or sepsis, which is a blood infection. These symptoms usually appear within 12 to 72 hours after ingesting food contaminated with this pathogenic bacteria, but some people can get sick up to a week later. Most people do not see a doctor when they contract this infection, so Salmonella food poisoning cases are very underreported. If you bought Fareway chicken salad in Iowa, do not eat it. Throw it away or take it back to the store where you bought it for a refund. Wash your hands well with soap and water after handling this product. If you or a loved one have been sickened with a Salmonella infection after eating chicken salad from Faraway stores in Iowa, contact our experienced attorneys for help at 1-888-377-8900. The law firm of Pritzker Hageman helps people sickened by contaminated food such as contaminated chicken and other products protect their legal rights, and get compensation and justice. Our lawyers represent patients and the families of children sickened with bacterial infections in personal injury and wrongful death lawsuits against grocery stores, retailers, food producers, food processors, restaurants, schools, and others. Attorney Fred Pritzker recently won $7.5 million for young client whose kidneys failed because of hemolytic uremic syndrome after an E. coli infection.